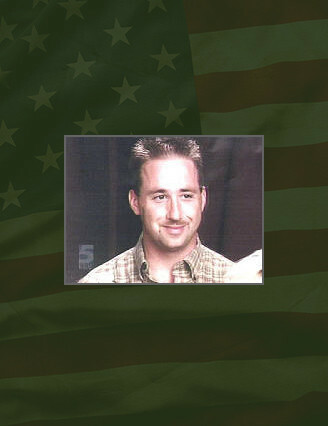 CW2 Stanley L. Harriman was born on November 1, 1967, in Springfield, Missouri. Following his graduation from Strafford High School in 1986, he joined the Army, attending Basic Training and Advanced Individual Training at Fort Leonard Wood, Missouri. Following AIT he was awarded the MOS of 12B – Combat Engineer in the United States Army. Harriman’s initial assignment was with the 82nd Engineer Battalion in the 82nd Airborne Division at Fort Bragg, N.C. It was here that he began his Airborne career. While serving with the 82nd, CW2 Harriman deployed in support of operations Desert Shield and Desert Storm in Iraq, and Operation Uphold Democracy in Haiti. Following his six-year tour with the 82nd, he was reassigned to the 8th Armored Division in Germany where he served for a three-year tour. He departed Germany in 1991 to attend the Special Forces Assessment and Selection Course and was then selected for the Special Forces Qualification Course. Following graduation, he remained at Fort Bragg to serve with ODA 366, Company C, 2nd Battalion, 3rd Special Forces Group (Airborne). After spending 38 months on ODA 366, he left for Fort Rucker, Alabama to attend Warrant Officer Candidate School. In November of 1988, he pinned on the rank of Warrant Officer, attended the Warrant Officer Basic Course, and then returned to Fort Bragg the following year. He was next assigned to 3rd Battalion, 3rd Special Forces Group (Airborne) where he was a member of ODAs 375 and 372 within Company A. While serving with Company A, Harriman deployed in support of operations Joint Forge in Bosnia, Desert Spring in Kuwait, and Enduring Freedom in Afghanistan. Harriman’s awards and decorations include; the Silver Star, the Purple Heart, the Meritorious Service Medal with Oak Leaf Cluster, the Army Commendation Medal with 2 Oak Leaf Clusters, the Army Achievement Medal with 2 Oak Leaf Clusters, the Army Good Conduct Medal (2nd award), the National Defense Service Medal, the Armed Forces Expeditionary Medal, the Southwest Asia Service Medal (3rd Award), the Humanitarian Service Medal, the NCO Professional Development Ribbon (3rd Award), the Army Service Ribbon, the Army Overseas Service Ribbon, the United Nations Medal, the Kuwaiti Liberation Medal, the Saudi Arabian Defense Medal, the Joint Service Unit Award, the Valorous Unit Award, the Army Superior Unit Award, the Combat Infantryman Badge, the Special Forces Tab, and the Master Parachutist Badge.